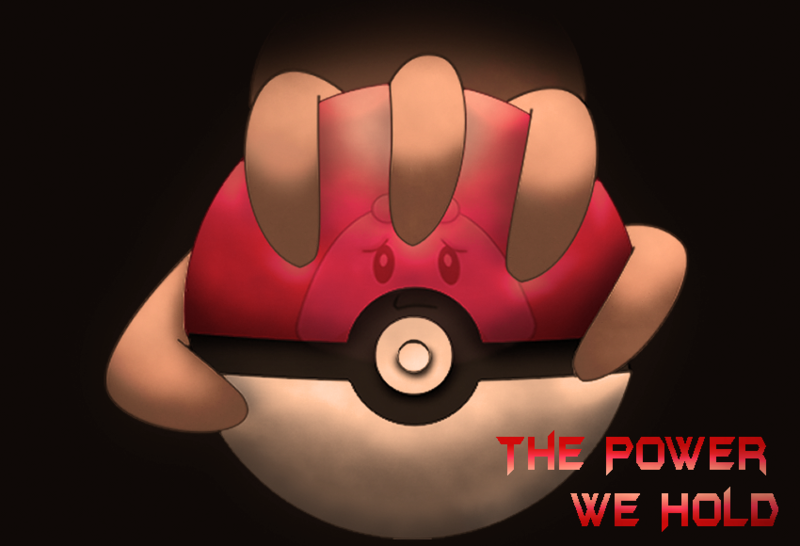 The Power We Hold takes a different approach on the invention of the Pokéball. 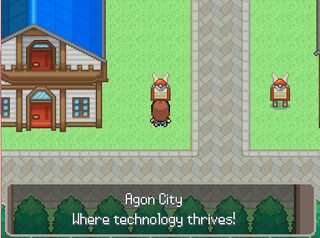 Jump into the Lacus Region which has now become obsessed with technology and innovation six years after the invention. Face the evil force by destroying them from the inside out before the annual Lacus Tournament comes to an end! As much as I'd love to go further into detail explaining this game, I personally believe it's better delivered as an experience rather than text. This game was made for the Third Annual Relic Castle Game Jam. It may not be the most perfect thing in the world but we are very proud of what it's become and at how much we've grown from the last Game Jam. 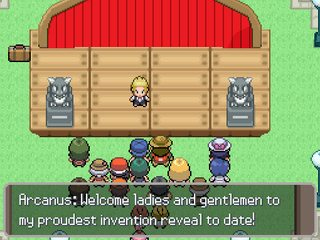 This year we continue our theme of not allowing the player to capture Pokémon! (sorry) This game is, for the most part, open world with blockades only at major plot points. It was designed this way to encourage exploration. GAME FREAK, Nintendo, Creatures inc. There's a little error where after you talk to Sylvia about your mission and go interact with the door of your parents' previous house, the event repeats and then I got stuck in a black screen. Sadly, it doesn't have a dedicated place of the world it takes place in. Each of the locations are named after famous prisons around the world. 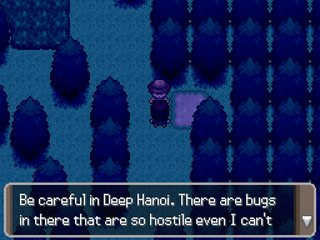 Deep Hanoi and Hilton Town clearly comes from Hanoi Hilton in Vietnam so I hope that's good enough for you! Thank you for this! Easy fix yet game breaking. It'll be in a patch further down the line depending on how many bugs come to my attention later on! Yeah, of course! Also, I really like the game so far. Hey there, this game was really interesting! Congrats on completing the game jam! I've played up to the end of the first part where you invade the lab and the story in this game is fantastic, a chilling storyline that is inmediately engaging. Some of the ideas here felt really fresh and unique. The whole prologue looked great and all the custom music tracks were nice as well. First of all, thanks for checking out! This threads been pretty dead so I've been worried about what people have thought and this (along with Pap's stream) made my night! After last year we kinda made story our priority so I'm glad it's delivering! 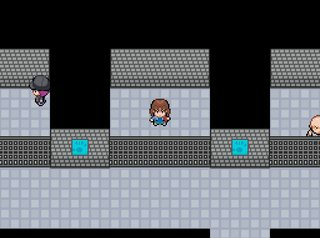 The game is basically a rough draft of what I had planned and never got along to make the lab mini boss so feel free to check it out at a later date! The fairy moves were added in at last minute by hand so I wouldn't be surprised at that, it also appears in Phantump's moveset further down the line once she gets her Gen VII moves. Once again, thanks for playing and I can't wait to get a better version of it out... maybe even with another chapter...? The Power We Hold Version 1.04 is now available for download! Lots of changes! Recommended for a far better experience of the game! -Fixed small bug involving Sylvia's event. -Lowered trainer levels a tad. -Some graphical changes (bag & trainer card). -Minor map changes to show entrances to areas better. -Fixed text box error after the Lab. If effected speak with the scientist outside of the lab for a fix! -Lowered encounter rate and how far most trainers can see the player. -New, better, and easier to read UI! -Added signs so the player is alert to where Factory Cave is. 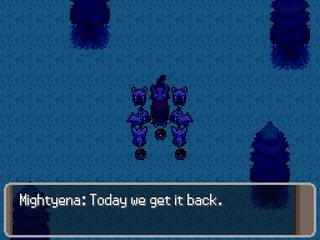 -Added extra dialogue to assist Act III navigation. Has anyone managed to beat the lab in version 1.04? I'm encountering a bug where after beating the second camera puzzle and reading the dialogue, the screen goes white. If you press A, it just takes you on back to the second puzzle again. The Power We Hold Version 1.05 is now available for download! Fixed game breaking bugs as well as some quiz answers that were incorrect! Another gamebreaking bug: a few moves create infinite loops where my turn is skipped. I'm in the Trial of Willpower which is unbeatable because Scolipedes Bug Bite hits me (Phantump) over and over before I can do anything. Also noticed this in the guy who talks about "There are no shortcuts" with Chatter. I'd like to translate it into Spanish if you give me your permission, of course. Just finished this myself and I have to say one of my personal favorite fan games I've ever played. 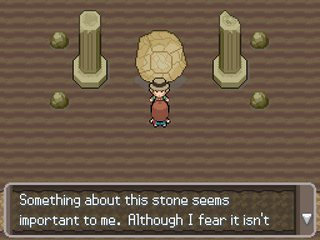 The story was interesting the entire way through, the battles were never to "hard" but not easy in anyway, dialogue was great, loved the pokemon companions, the several sections of gameplay that were not battles were great as well!, such as the prison stealth, the 3 lake caves, the professor lab, were all great! and was rarely bored was extremely fun the entire time! minor complaints though have to be said, firstly the maps were great except for a couple where it felt big which is nice but I mean WAY to big and I ended up being bored outta my mind with exploring the bigger maps finding the items aka the First Forest in the game (forgot the name) and the cave at the mountain, (again forgot name), along with this several attacks seemed to be bugged or cause errors, examples are a move being repeated endlessly until my pokemon is dead (a move such as chatter or bug bite) or some not working at all like toxic spikes never poisoned my pokemon. Overall these rare errors or bugs, and the rest of the game its amazing I would 100% play this game again after time as past and again and again, (so on and so forth) thanks for creating an amazing game thanks for reading.